Oh, Lordy, has it been that long since my last post! I really must try harder but I don’t seem to get the time these days. 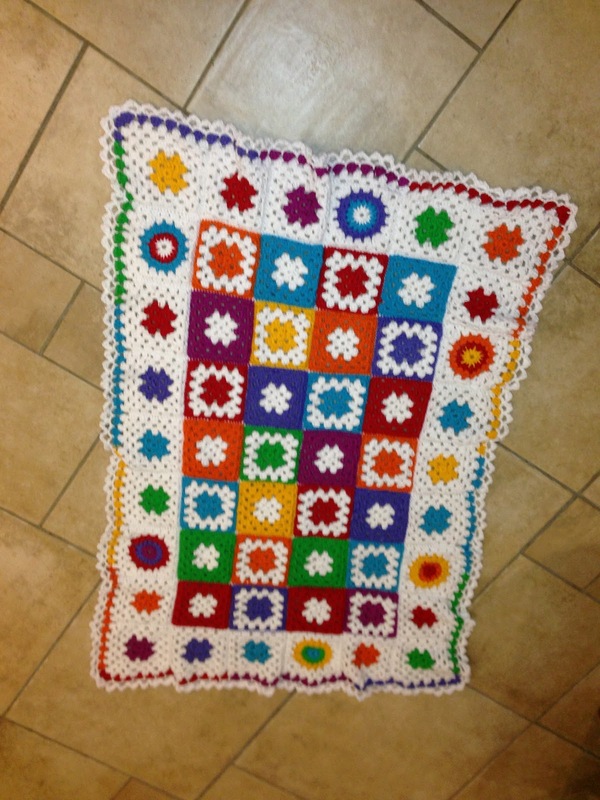 Maybe that’s because I have spent the last goodness knows how many months creating my very first crochet creation – a granny blanket. It started out far grander than it turned out as I was planning on it covering the bed. However, it’s ended up somewhat smaller but still perfectly formed and I am soooooo pleased with it. I love the colours and the combination and well, everything about it really. 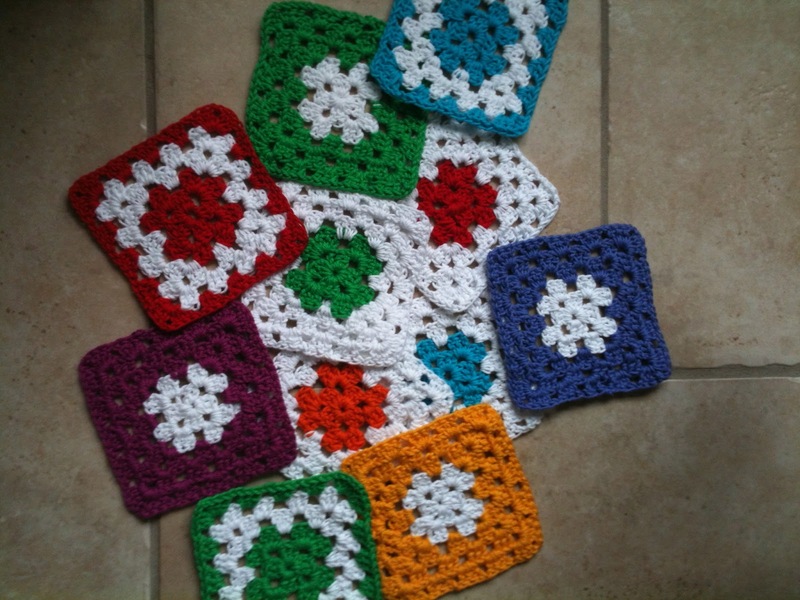 I didn’t realise that granny squares take so long – or maybe I am just slow – but now they are all joined together I hope you like the finish! 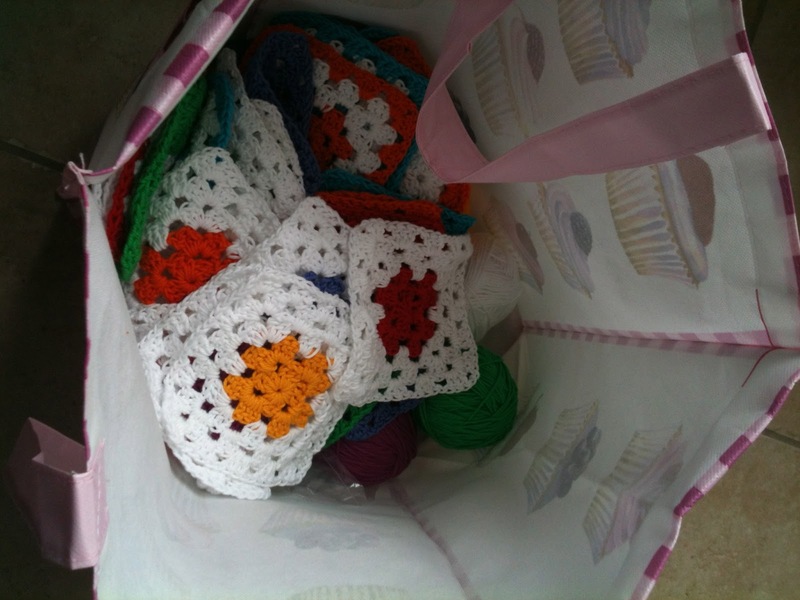 A big shout out to Lucy at Attic24 a) because her blog is gorgeous and inspirational and regular! 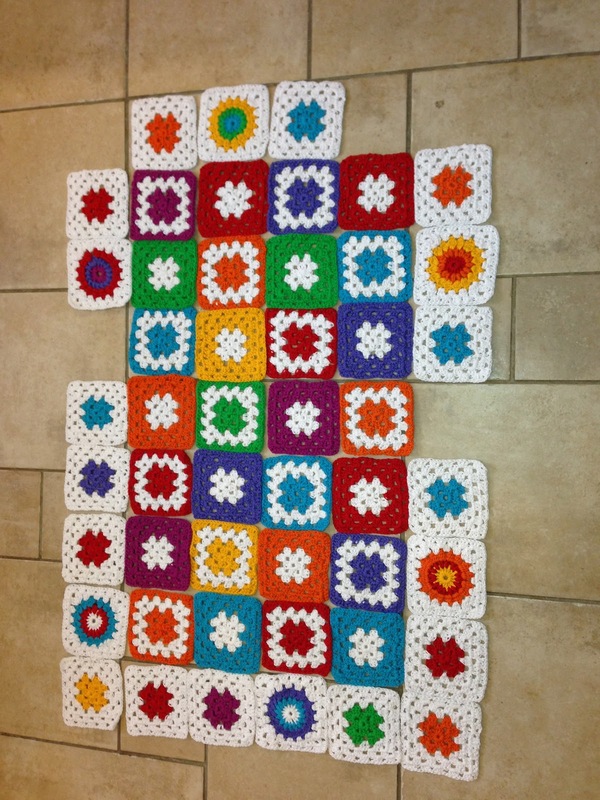 and b) because I used her tutorial for the blanket edging, so many thanks for that http://attic24.typepad.com/weblog/.